With summer in full swing, there is no better time to visit London and experience the city’s buzzing hospitality scene with the debut of of some highly anticipated luxury hotel openings. 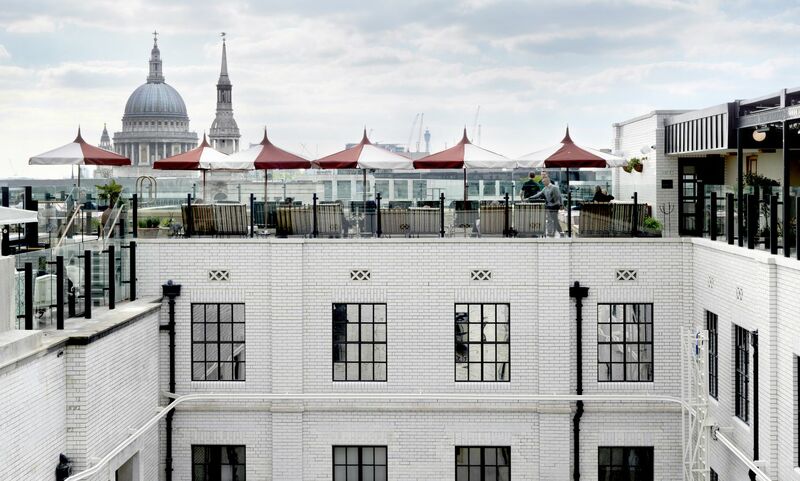 From East London to the city, each hotel has truly distinctive elements in their style, nightlife and culinary offerings—take an insider’s tip and book your stay at one of these hotspots. 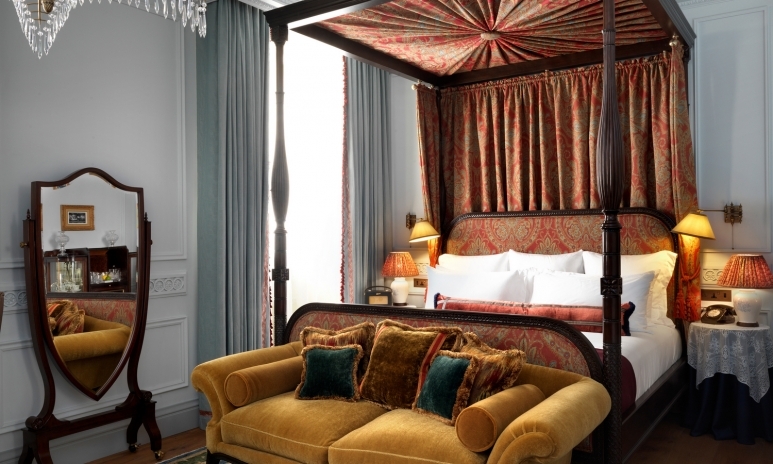 Soaking in the creative energy of London's east end, The Curtain Hotel and Members Club is the highly anticipated venture from New York hotelier Michael Achenbaum, located on Curtain Road in Shoreditch. Featuring a rock-and-roll aesthetic characterised by a sleek, rustic-industrial design and photos by the iconic Mick Rock and Pete Hawkins, the hotel embodies the vibrancy of its surrounding location. 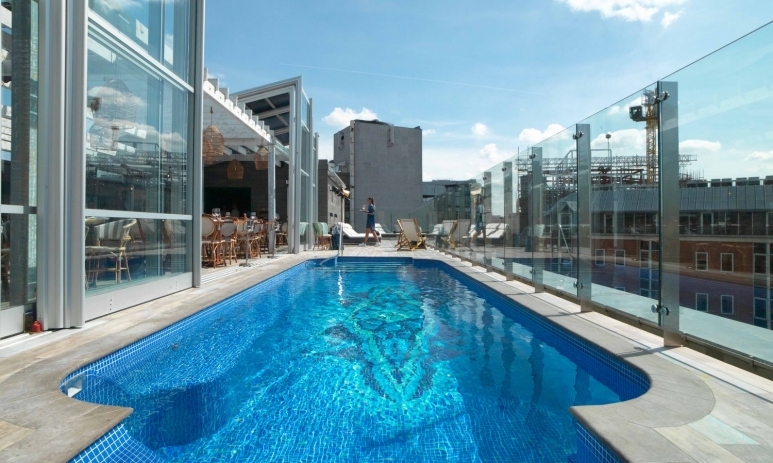 With 120 luxurious guest rooms and suites, the iconic Red Rooster restaurant by US top chef, Marcus Samuelsson, cocktails by Trash Tiki, and a rooftop brasserie and pool (LIDO), The Curtain is the ultimate hotspot to be seen at this summer. During these warmer months, guests can enjoy a refreshing drink or swim at LIDO, the Moroccan-style rooftop brasserie and pool. The Ned is the rebirth of a historic bank building in the heart of the City of London, a joint venture by London-based Soho House & Co and New York’s Sydell Group. An homage to the architect Sir Edwin 'Ned' Lutyens who originally designed the building in 1924, visitors are immediately transported to another era upon stepping into the lobby with its open floor plan complete with lavish furnishings reminiscent of the glamorous 1920s. With richly patterned vintage pieces, brass and mahogany detailing, The Ned brings a lively opulence to the former banking hall and its 252 bedrooms. Throughout the space, guests can find a variety of food offerings from eight restaurants on the ground floor featuring cuisine from around the globe from Britain to Italy and North America to Asia. Head to the belly of the building behind a 20-tonne vault door that functioned as the original Midland Bank strong room to find an all-hours cocktail lounge lined with 3,800 original safety deposit boxes for a truly unique nightcap. The newly opened Nobu Hotel Shoreditch offers a contemporary fusion of Nobu Hospitality’s signature east-meets-west ethos set in centre of London’s artistic hub. 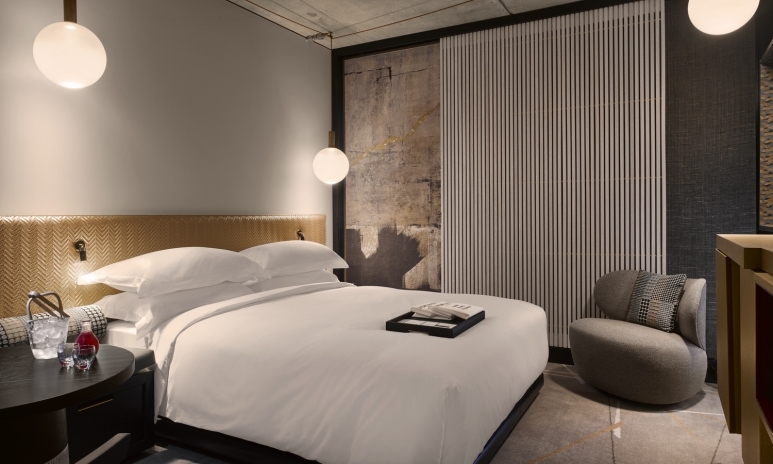 Featuring a minimalistic, but elevated aesthetic, the property boasts 143 luxurious guest rooms and seven suites that showcase a simple palette of concrete, timber, glass and textured textiles that reflect Shoreditch’s chic edge while keeping the hallmark style of Nobu Hotel worldwide. Known internationally for its contemporary and innovative interpretation of Japanese cuisine infused with elements from Peru and South America, pioneered by Chef Nobu Matsuhisa, the hotel offers its guests the opportunity to enjoy Nobu’s trademark dishes at its 240-seat restaurant. In an effort to contribute to the local community, the Nobu Hotel Shoreditch will be opening a pocket garden this fall bridging the gap between the vibrant streets and zen nature of the hotel, offering a public oasis in the heart of east London.